You know those really obnoxious lift & light kits that teenage boys put on their rigs to make them look like alien monster trucks? It's painfully obvious that Guillermo del Toro was miles away, a silent partner-producer on this deal, and that John Boyega is in way over his head. I enjoyed the Chinese influence here—which is evident in scene after scene, and is altogether sprawling—as it's a keen glimpse of things to come in Hollywood, with film after film after film being financed there. 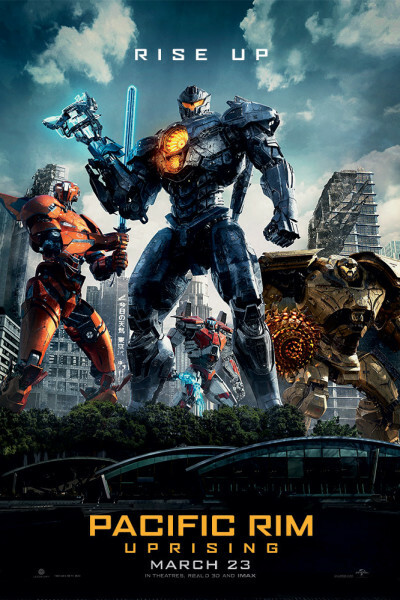 On the whole, though, unless you like your messes served hot (à la liquified metal), Pacific Rim: Uprising is best left in the kitchen.